The ‘Take the Step’ site has been created by a partnership between Lancashires Police and Crime Commissioner and the Council, providing help, support and advice. Chair of the domestic strategic board at Blackburn with Darwen Council, Councillor Pat McFall launched the ‘one-click’ access alongside Lancashire Police and Crime Commissioner Clive Grunshaw, at Blackburn Central Library. 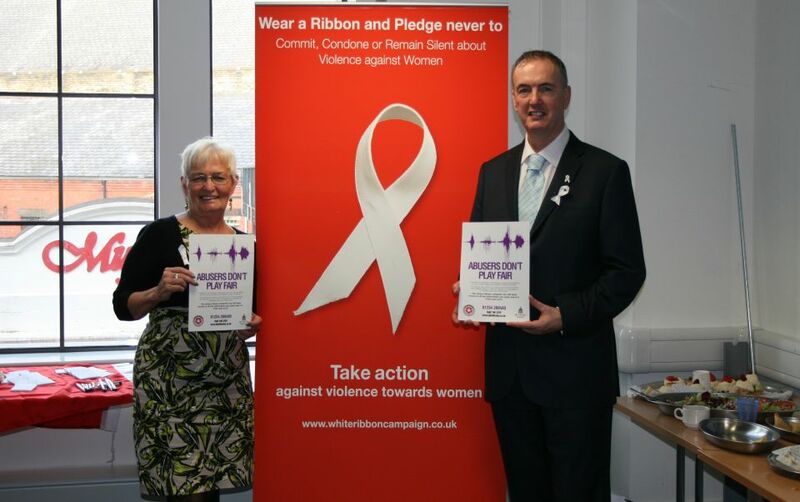 Blackburn with Darwen Borough Council was awarded the White Ribbon status just over a year ago, and this new library facility highlights the fact we are committed in making a stand against domestic violence.